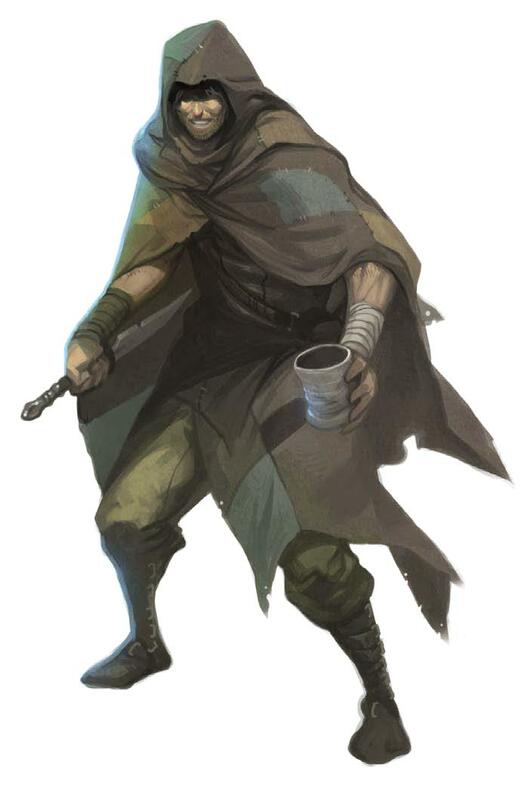 One of the two classes unique to the Pathfinder RPG that I feel I need to convert in order to run the Iron Gods adventure path in 5E is the Magus class. 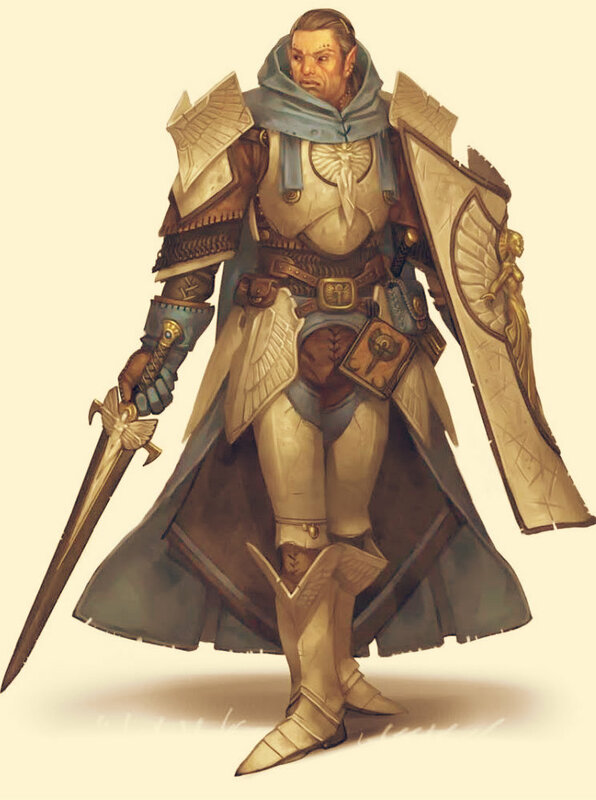 I have read some commentary online suggesting that the Fighter’s Eldritch Knight Martial Archetype (the “EK”) is a “close enough” conversion, but after looking at the Magus and the EK in detail, and looking at what a Magus NPC from Iron Gods would look like as an EK in 5E D&D, I think I would lose some of the unique feel of the Magus class (in particular the neat ability to deliver spells through weapon strikes) if I didn’t come up with a 5E version. My first effort at converting the Magus class can be found here, but after having a Magus PC played in my Tyranny of Dragons campaign, I now feel that those rules are unbalanced, particularly given the fact that my first draft of the Magus was, essentially, a Wizard with even more badass abilities. The following is my revised version, which scales back the number of spells the Magus gains to make for a character that strikes a better balance between spellcaster and swordsman (or swordswoman). As a magus, you gain the following class features. Hit Dice: 1d8 per magus level. Hit Points at Higher Levels: 1d8 (or 5) + your Constitution modifier per magus level after 1st. At 1st level, you know two cantrips of your choice from the magus spell list. You learn additional magus cantrips of your choice at higher levels as shown in the Cantrips Known column of the Magus table. Whenever you cast a magus spell or cantrip that requires a melee attack roll, you can deliver the spell through your bonded weapon instead. To do so, you take the Attack action with a melee weapon and simultaneously cast any magus spell you have prepared or magus cantrip you know as a bonus action. If you hit, the melee weapon attack deals its normal damage as well as the effects of the spell. If you roll a critical hit, the spell’s damage (if any) is doubled. Spellstrike can be used once per round. At 1st level, you learn a ritual that creates a magical bond between yourself and one weapon. You perform the ritual over the course of 1 hour, which can be done during a short rest. The weapon must be within your reach throughout the ritual, at the conclusion of which you touch the weapon and form the bond. Once you have bonded a weapon to yourself, you may use the bonded weapon as a spellcasting focus for your magus spells. At 1st level, you choose a tradition that shapes the way you combine spells and weapons in combat. Choose Staff Magus, Sword Magus, or Gun Magus, each detailed at the end of the class description. The tradition you choose grants you features at 1st level and again at 5th and 11th level. You have 2 points in your arcane pool at 2nd level, and you gain more as you reach higher levels, as shown in the Magus table. You can never have more points in your arcane pool than shown on the table for your level. You regain all arcane pool points when you complete a long rest. You can expend points from your arcane pool as a bonus action to grant any nonmagical weapon you are holding a bonus to hit and damage rolls and transform the weapon into a magic weapon for a duration of Concentration, up to 1 minute. The bonus to hit and damage depends on the amount of arcane pool points spent, as follows. As a student of arcane magic, you have a spellbook containing spells that show the first glimmerings of your true power. See chapter 10 of the Player’s Handbook for the general rules of spellcasting and below for the magus spell list. At 2nd level, you gain a spellbook containing three 1st-level magus spells of your choice. The Magus table shows how many spell slots you have to cast your spells of 1st level and higher. To cast one of these spells, you must expend a slot of the spell’s level or higher. You regain all expended spell slots when you finish a long rest. 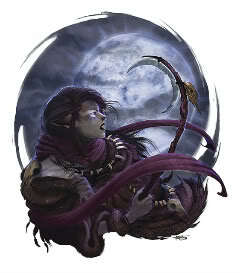 You prepare the list of magus spells that are available for you to cast. To do so, choose a number of magus spells from your spellbook equal to your Intelligence modifier + half your magus level, rounded down (minimum of one spell). The spells must be of a level for which you have spell slots. See the description of a Wizard’s preparation and casting of spells on page 114 of the Player’s Handbook for an example of how to prepare your spells as a magus. You can change your list of prepared spells when you finish a long rest. Preparing a new list of magus spells requires time spent studying your spellbook and memorizing the incantations and gestures you must make to cast the spell: at least 1 minute per spell level for each spell on your list. Intelligence is your spellcasting ability for your magus spells, since you learn your spells through dedicated study and memorization. You use your Intelligence whenever a spell refers to your spellcasting ability. In addition, you use your Intelligence modifier when setting the saving throw DC for a magus spell you cast and when making an attack roll with one. Each time you gain a magus level, you can add one magus spell of your choice to your spellbook. Each of these spells must be of a level for which you have spells slots, as shown on the Magus table. On your adventures, you may find other spells that you can add to your spellbook, the same a wizard (see page 114 of the Player’s Handbook for more information on your spellbook). At 2nd level, you learn how to cast spells and wield your weapon at the same time. To use this ability, you must have one free hand and be wielding a light or one-handed melee weapon. Once per round, when you take the Attack action, you can cast any non-cantrip magus spell you have prepared as a bonus action, either before or after the Attack. If the spell is a ranged attack that would suffer Disadvantage on the attack, you can make a DC 10 Constitution check as part of the bonus action to make the ranged attack normally. 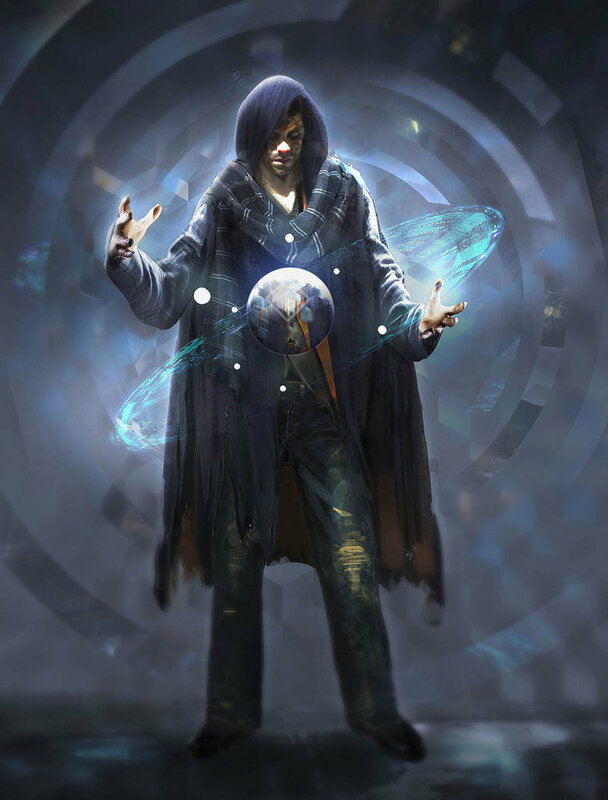 As your eldritch combat skills improve, you master mystic techniques known as arcana that provide new ways for you to combine the powers of the martial and the arcane. At 3rd level, you gain one magus arcana of your choice. Your magus arcana options are detailed at the end of the class description. When you gain certain magus levels, you gain additional magus arcana of your choice, as shown in the Magus Arcana column of the Magus table. Additionally, when you gain a level in this class, you can choose one of the magus arcana that you know and replace it with another magus arcana that you could learn at that level. At 5th level, you learn to transform the occult power of your arcane pool into fuel for your spellcasting. You can transform unexpended arcane pool points into one spell slot as a bonus action on your turn. The table below shows the costs of creating a spell slot of a given level. You can create spell slots no higher in level than 5th using spell recall and these spell slots only last until you complete a long rest. You can only create spell slots of a level equal to that you can cast. Beginning at 6th level, you can attack twice, instead of once, whenever you take the Attack action on your turn. At 7th level, you learn the ability to infuse your bonded weapon with primal elemental power. You gain the ability to expend 5 points from your arcane pool as a bonus action to transform any nonmagical bonded weapon into a magic weapon. Choose one of the following damage types: acid, cold, fire, lightning, or thunder. For a duration of Concentration, up to 1 hour, the weapon has a +1 bonus to attack rolls and deals an extra 1d4 damage of the chosen type when it hits. At 9th level, you gain the ability to improvise with your spellcasting. As an action, you can transform unexpended arcane pool points to cast one spell from the magus spell list as if you had prepared that spell, whether you have that spell prepared or not. The table below shows the costs of casting a spell of a given level. You can cast spells no higher in level than 5th using knowledge pool. You can only cast spells with this ability of a level equal to that you can cast. By 10th level, you have expanded your magical knowledge with the secrets of other traditions. Choose two spells of 3rd level or lower from the wizard spell list, and add them to your spellbook. The chosen spells count as magus spells for you and can be used with any of your other magus abilities. You learn two additional spells of 4th level or lower from the wizard spell list at 14th level and two additional spells of 5th level or lower at 18th level. At 17th level, you learn to instinctively disrupt the spells of other casters. When a creature within 5ft of you casts a spell, you can use your reaction to make a melee weapon attack against that creature. If you hit the target and it is concentrating on a spell, that creature has disadvantage on the saving throw it makes to maintain its concentration. At 20th level, you perfect your magus techniques, gaining the ability to use spell combat and/or spellstrike on both of your attacks, each round. You can choose to use spell combat or spellstrike twice, or use each ability once. Beginning when you choose this martial tradition at 1st level, when you take the Attack action and attack with only a quarterstaff or magic staff, you can attack a second time, by using both ends of the staff. The weapon’s damage die for this second attack is d4 and the attack does bludgeoning damage. At 1st level, you gain the ability to attune to any magic staff, regardless of any class restrictions that staff might otherwise have. You also gain the ability to use your Arcane Pool abilities with magic staves. When you do so, your Arcane Pool ability supersedes the weapon’s bonuses and abilities (if any) for the duration of the Arcane Pool ability. Further, you can use your magus abilities while wielding a staff with two hands. Starting at 5th level, you add +2 to AC when wielding a quarterstaff or magic staff. At 11th level, this bonus increases to +3 to AC. At 11th level, you perfect your mastery of magic staves. Once per day, as an action you can expend points from your arcane pool to recharge a staff to which you are attuned on a one for one basis. For example, you could expend 5 points from your arcane pool to restore 5 charges to a Staff of Fire to which you are attuned. Beginning when you choose this martial tradition at 1st level, you gain proficiency with martial weapons. You also gain the ability to use your Arcane Pool abilities with magic weapons. When you do so, your Arcane Pool ability supersedes the weapon’s bonuses and abilities (if any) for the duration of the Arcane Pool ability. Starting at 5th level, you gain proficiency with medium armor. At 11th level, you gain proficiency with heavy armor. If a magus arcana has prerequisites, you must meet them to learn it. You can learn the magus arcana at the same time that you meet its prerequisites. You can expend 1 point from your arcane pool as part of an Attack to gain advantage on your next attack roll. This must be spent before you make your attack roll. You can deliver ray spells (such as ray of frost, ray of enfeeblement, and scorching ray) as melee spell attacks (making them eligible for your spellstrike magus ability). If the ray spell targets more than one creature, you make only one melee spell attack to deliver one of the rays; additional rays may target other creatures normally, but those attacks are made at disadvantage. You may reroll a Constitution check made to maintain Concentration on a spell that you just failed. You must keep the result of your second roll. Once you use this ability, you cannot use it again until you complete a short rest or a long rest. When you score a critical strike with a melee weapon attack, you may cast a spell or cantrip with a range of touch as part of that attack. You must have a spell slot equal to the level of the spell cast available when you use this ability, which is expended as if that spell was cast normally. Once you use this ability, you cannot use it again until you complete a long rest. You can spend 3 points from your arcane pool as a bonus action to imbue a melee weapon with disruptive arcane energies. The next target you strike a target with that weapon is affected as if subjected to a dispel magic spell. When you roll damage for a spell, you can expend 1 point from your arcane pool to reroll a number of damage dice up to your Intelligence modifier (minimum of one). You must use the new rolls. You learn the find familiar spell and can cast it as a ritual. As a bonus action, you can expend 3 points from your arcane pool to gain the effect of the haste spell until the end of your next turn. To use one of your maneavers, you expend 1 point from your arcane pool to gain 1 superiority dice, which is used to fuel that maneuver. This superiority dice is a d8. You may use superiority dice you gained from other classes to fuel these maneuvers, but you may not use the superiority dice generated from your arcane pool to fuel any other maneuvers. Choose one 6th-level spell from the magus spell list as this arcanum. You can cast your arcanum spell once without expending a spell slot. You must finish a long rest before you do so again. If you are 14th level, you may select a 7th-level spell instead, if you are 16th level, you may select an 8th level spell, and if you are 18th level, you may select a 9th level spell. You may select this Arcanum more than once, selecting a new arcanum spell each time. You may use your spellstrike magus ability with this arcana. You may also use this ability with Two-Weapon Fighting (described at page 195 of the Player’s Handbook), if you otherwise qualify for Two-Weapon Fighting. For the purpose of Two-Weapon Fighting, your hand counts as a light melee weapon when using this ability. When you cast a spell that has a casting time of 1 action, you can expend 2 points from your arcane pool to change the casting time to 1 bonus action for this casting. As a reaction, you may expend 10 points from your arcane pool to interrupt a creature in the process of casting a spell of 7th level or lower within 60 feet of you, as if you cast the counterspell spell. If the interrupted spell would have targeted someone other than the caster, you can choose to have it reflected back on the interrupted caster, as if she was the intended target. When you cast a spell, you can expend 1 point from your arcane pool to cast it without any somatic or verbal components. As a reaction, you can expend 1 point from your arcane pool to impose disadvantage on an attack roll that targets you. Whenever you use an enchanted wand to cast a spell, you calculate the DC for any saving throws against those spells as 8 + your proficiency bonus + your Intelligence bonus. You can activate a wand or staff in place of casting a spell when using your spell combat and spellstrike magus abilities. For characters who wish to multiclass as a magus, the minimum ability scores to multiclass as a magus are Intelligence 13 and either Strength 13 or Dexterity 13. Further, when you multiclass into the magus class you gain proficiency in light armor and simple weapons. Finally, when calculating the spell slots available to a multiclass character with levels in the magus class, you include half your levels in magus, when calculating your Multiclass Spellcaster spell slots. See pages 163 and 164 of the Player’s Handbook for more information on multiclassing in 5E. I feel that this version of the Magus should play much more like the warrior/mage I intended the Magus to be. Characters made with these rules will be deadly melee fighters who can also unleash a variety of lethal spells. The scaled-back number of spell slots should prevent Magus characters from infringing on the thematic space of dedicated spell casters and, as an added benefit, I think that the more limited number of spell slots will give the Magus’ other abilities (particularly the use of Arcane Points) a chance to shine. As with my first draft of the Magus, with a few changes, this class could be used to replicate an arcane archer, similar to the Arcane Archer Prestige Class from the Pathfinder Core Rulebook, or a divine/primal magic archer, similar to the Seeker class from 4th Edition D&D. For either of these options, you could change spell combat and spellstrike to function only with ranged weapons and permit the character to cast spells while using a two-handed ranged weapon. This extra feature would be balanced by the disadvantage that such characters would suffer when using their abilities in melee. I will leave my first draft of the Magus up, for those who may prefer that version of the 5th Edition D&D class, but I, personally, prefer this version of the class over that earlier attempt. I look forward to seeing this new version hitting the table in my home game soon. 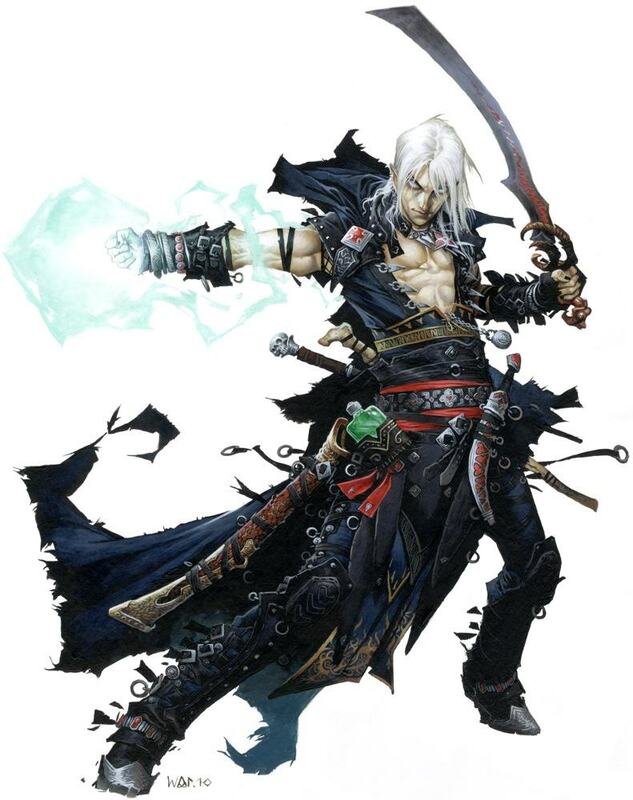 This Friday, I will be posting a revised version of my conversion of the Pathfinder RPG’s Magus class. As a preview of that conversion, I present for your review, a revised version of the Magus PC who is played by my son in my home 5th Edition D&D game. One of the most important things that needs to be converted in order to run the Iron Gods adventure path using 5th edition Dungeons & Dragons is the roster of exotic monsters encountered by the players along the way. As I noted in past entries, the task of converting over the monsters from each adventure in the Iron Gods adventure path is a pretty daunting one, so this entry will simply be the second batch of conversions, taken from the first part of the Lords of Rust. If you are planning on playing the Iron Gods adventure path, these monsters may represent SPOILERS! Finally, for those who were not here last week, I should mention again that I do not plan to convert over any monsters that are found in the Monster Manual, unless the difference between the Pathfinder and 5E versions are so markedly different that to do so would result in an imbalanced encounter. So, with those comments out of the way, let’s get to the critters! Fey Ancestry. Captain Andalen Kraklos has advantage on saving throws against being charmed, and magic can’t put him to sleep. 1st level (3 slots): cure wounds, detect poison and disease, protection from evil and good, sanctuary, shield of faith. Multiattack. 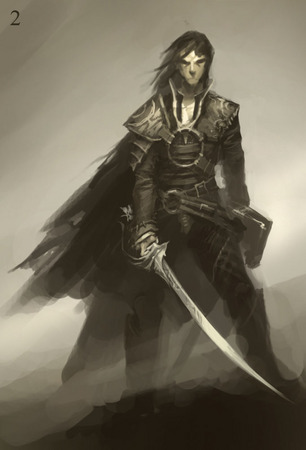 Captain Andalen Kraklos can make one attack with his dagger and one with his scimitar. Dagger Melee or Ranged Weapon Attack: +5 to hit, reach 5 ft. or range 20/60, one target. Hit: 5 (1d4+3) piercing damage. Scimitar Melee Weapon Attack: +5 to hit, reach 5 ft., one target, Hit: 6 (1d6+3) slashing damage. Divine Smith (Recharge 6) When Captain Andalen Kraklos hits a creature with a melee weapon attack, he can spend a spell slot to do 2d8 radiant damage to the target, in addition to the weapon damage. Lay on Hands. As an action, Captain Andalen Kraklos can restore up to a total of 15 hit points. This healing can be split between multiple uses, but he cannot heal more than 15 hit points per day. Turn the Unholy (Recharges after a Short Rest). As an action, Captain Andalen Kraklos can present his holy symbol and speak a prayer censuring fiends and the undead. Each fiend or undead that can see him must make a Wisdom saving throw. If the creature fails its saving throw, it is turned for 1 minute or until it takes damage. A turned creature must spend its turns trying to move as far away from Captain Andalen Kraklos as it can, and it can’t move to a space within 30 feet of him. It also can’t take reactions. For its actions, it can use only the Dash action or try to escape from an effect that prevents it from moving. If there’s nowhere to move, the creature can use the Dodge action. Second Wind (Once per Short or Long Rest). As a bonus action, Rezouln, Tanea, or Sindre, can regain 6 (1d10+1) hit points. Scimitar. Melee Weapon Attack: +4 to hit, reach 5 ft., one target, Hit: 7 (1d6+4) slashing damage. Brawler’s Cunning (Recharge 6) Sevroth can use a bonus action when she would suffer disadvantage on her attacks on a turn to make all attacks she makes until the start of her next turn normally. Flurry of Blows (Recharge 6) When Sevroth uses her Multiattack action, she can use a bonus action to make two unarmed attacks. Unarmed Attack Melee Weapon Attack: +4 to hit, reach 5 ft., one target. Hit: 4 (1d4+2) bludgeoning damage. Multiattack. The Steel Hawks Brigand makes two melee attacks or two ranged attacks. Longsword. Melee Weapon Attack: +3 to hit, reach 5 ft., one target, Hit: 5 (1d8+1) slashing damage. Longbow. Ranged Weapon Attack: +4 to hit, ranged 150/600 ft., one target. Hit: 6 (1d8+2) piercing damage. As with the earlier rounds of Iron Gods conversions, I tried to start with an existing 5E monster (taken from the Monster Manual, the Tyranny of Dragons adventures, or the Princes of the Apocalypse adventure) and then used the rules for creating monsters out of the Dungeon Master’s Guide to modify them. As with the monsters from the Monster Manual, any of these stats could be repurposed to be a similar monster (for instance, by swapping his gear for something more religiously appropriate, Captain Kraklos could be used to represent any other low level paladin). Next week will mark six months of maintaining this weekly blog, so I will be using the occasion to so some reworking of older material I have posted, fix some typos that snuck into the blog, and provide a one-stop shop for all the 5th Edition D&D material that I have converted from Pathfinder to date. The following week, I will return to my conversion of the Iron Gods adventure path. One of the most important things that needs to be converted in order to run the Iron Gods adventure path using 5th edition Dungeons & Dragons is the roster of exotic monsters encountered by the players along the way. As I noted in past entries, the task of converting over the monsters from each adventure in the Iron Gods adventure path is a pretty daunting one, so this entry will simply be the first batch of conversions, taken from the first part of the Lords of Rust. If you are planning on playing the Iron Gods adventure path, these monsters may represent SPOILERS! Finally, for those who were not here last week, I should mention again that I do not plan to convert over any monsters that are found in the Monster Manual, unless the difference between the Pathfinder and 5E versions are so markedly different that to do so would result in an imbalanced encounter. So, with those comments out of the way, let’s get to the critters! Speed 0ft., fly 40 ft.
Ethereal Sight. Aldronard can see 60 feet into the Ethereal Plane when he is on the Material Plane, and vice versa. Incorporeal Movement. Aldronard can move through other creatures and objects as if they were difficult terrain. It takes 5 (1d10) force damage if it ends its turn inside an object. Rejuvenation. 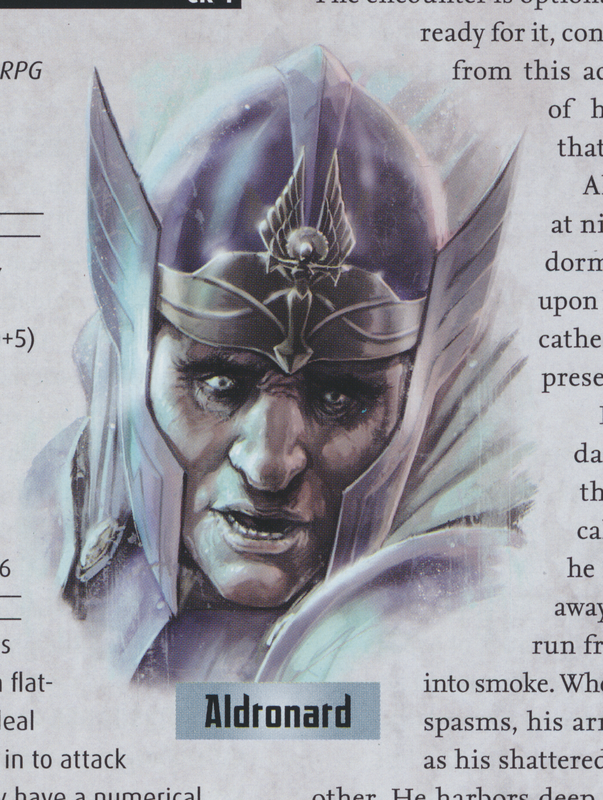 When Aldronard is destroyed, his soul lingers. After 24 hours, his incorporeal body reforms. Aldronard is doomed to remain a ghost until either Justinia or her father Eredian forgives him – a forgiveness made much more complex, since both Justinia and Eredian have been dead for decades now. Multiattack. Aldronard makes two melee attacks. Withering Touch. Melee Weapon Attack: +5 to hit, reach 5 ft., one target. Hit: 17 (4d6+3) necrotic damage. Etherealness. Aldronard enters the Ethereal Plane from the Material Plane, or vice versa. He is visible on the Material Plane while he is in the Border Ethereal, and vice versa, yet he can’t affect or be affected by anything on the other plane. Mournful Wail. Each non-undead creature within 60 feet of Aldronard that can hear him must succeed on a DC 14 Wisdom saving throw or be frightened for 1 minute. If the save fails by 5 or more, the target also ages 1d4 x 10 years. A frightened target can repeat the saving throw at the end of each of its turns, ending the frightened condition on itself on a success. If a target’s saving throw is successful or the effect ends for it, the target is immune to Aldronard’s Mournful Wail for the next 24 hours. The aging effect can be reversed with a greater restoration spell, but only within 24 hours of it occurring. Possession (Recharge 6). 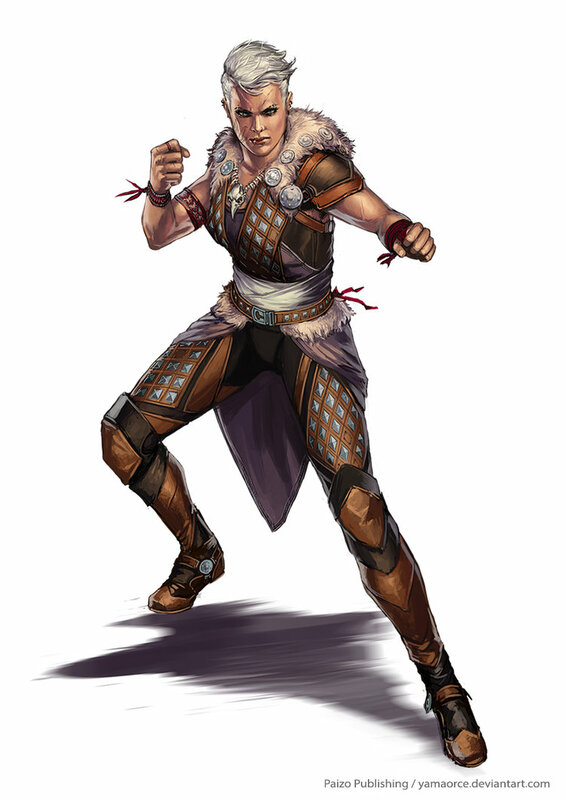 One humanoid that Aldronard can see within 5 feet of him must succeed on a DC 14 Charisma saving throw or be possessed by Aldronard; Aldronard then disappears and the target is incapacitated and loses control of its body. Aldronard now controls the body but doesn’t deprive the target of awareness. Aldronard can’t be targeted by an attack, spell, or other effect, except ones that turn undead, and he retains his alignment, Intelligence, Wisdom, Charisma, and immunity to being charmed and frightened. He otherwise uses the possessed target’s statistic, but doesn’t gain access to the target’s knowledge, class features, or proficiencies. The possession lasts until the body drops to 0 hit points, or Aldronard ends it as a bonus action, or Aldronard is turned or forced out by an effect like the dispel evil and good spell. When the possession ends, Aldronard reappears in an unoccupied space within 5 feet of the body. The target is immune to Aldronard’s Possession for 24 hours after succeeding on the saving throw or after the possession ends. Action Surge (Recharges after a Short Rest). On Ewhar “Hatchet-Hand” Vress’ turn, he can take on additional action on top of his regular actions. Improved Critical. Ewhar “Hatchet-Hand” Vress scores a critical hit with weapon attacks on a 19 or 20. Multiattack. Ewhar “Hatchet-Hand” Vress makes two attacks with his handaxes or gas grenades. Handaxe Melee or Ranged Weapon Attack: +6 to hit, reach 5 ft. or range 20/60, one target. Hit: 7 (1d6+3) slashing damage. Gas Grenades Ewhar “Hatchet-Hand” Vress can throw a Gas Grenade at a point up to 60 feet away. One round after the Gas Grenade lands, it emits a cloud of smoke that creatures a heavily obscured area in a 20-foot radius. A moderate wind (at least 10 miles per hour) disperses the smoke in 4 rounds; a strong wind (20 or more miles per hour) disperses it in 1 round. Any creatures who enter or begin their turn in the cloud must succeed in a DC 13 Constitution saving throw or suffer the effect of a stinking cloud spell. Bandit Leader (Recharges after a Short or Long Rest). For 1 minute, Ewhar “Hatchet-Hand” Vress can utter a special command or warning whenever a nonhostile creature that it can see within 30 feet of it makes an attack roll or a saving throw. The creature can add a d4 to its roll provided it can hear and understand Ewhar “Hatchet-Hand” Vress. A creature can benefit from only one Leadership die at a time. This effect ends if Ewhar “Hatchet-Hand” Vress is incapacitated. Cunning Action. On each of his turns, the Smiler can use a bonus action to take the Dash, Disengage, or Hide action. Deadeye (Recharge 6). The Smiler can avoid suffering disadvantage on an attack roll when he attacks a target beyond normal range with a firearm. Gunslinger Dodge (Recharge 6). When the Smiler is hit by an attack, he can use his reaction to force the attacker to reroll its attack roll and take the lower of the two results. Sneak Attack (1/Turn). 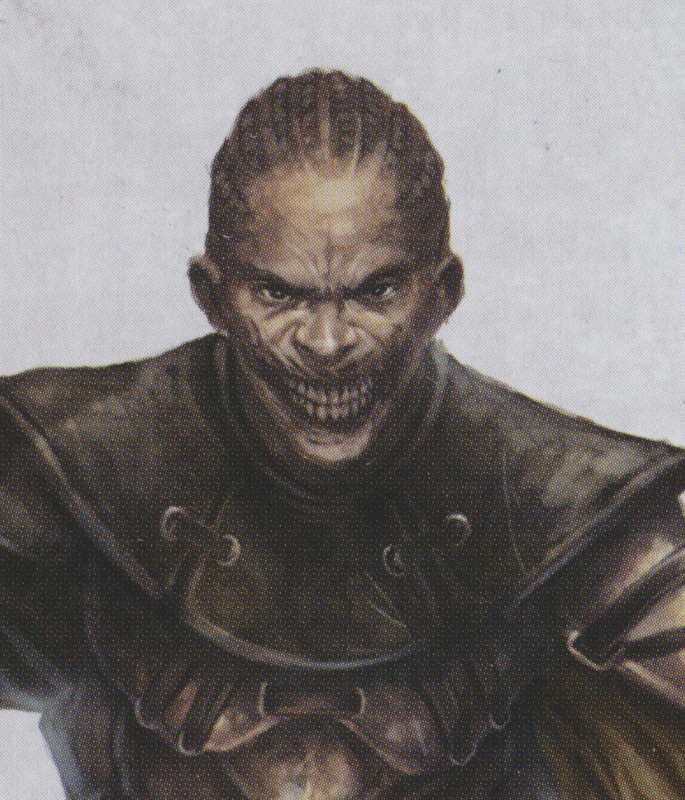 The Smiler deals an extra 7 (2d6) damage when it hits a target with a weapon attack and has advantage on the attack roll, or when the target is within 5 feet of an ally of the Smiler that isn’t incapacitated and the Smiler doesn’t have disadvantage on the attack roll. Pistol Ranged Weapon Attack: +5 to hit, range 30/90, one target. Hit: 9 (1d10+3) piercing damage, Ammunition, Loading, Misfire. As with the monsters from the Monster Manual, any of these stats could be repurposed to be a similar monster (for instance, Aldronard could be used to represent any other ghost that is slightly more powerful than the monster found in the Monster Manual). These oracular mysteries are designed for use with the 5th Edition Dungeons & Dragons Oracle class, rules for which can be found here. Earlier this week one of my WordPress buddies, the talented Dr. Necrotic, requested that I turn my attention to the two mysteries I have featured this week. 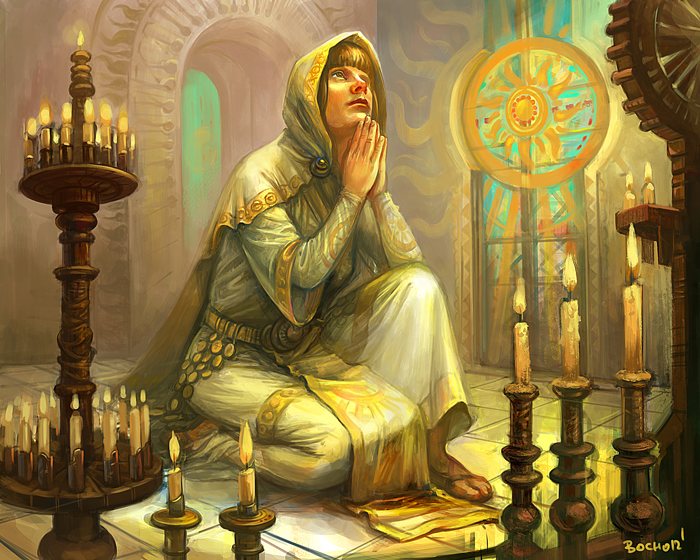 Of the two, the Lunar Mystery proved to be the more challenging conversion, largely due to the fact that the “mystery spells” in its Pathfinder version were all unique Pathfinder spells. 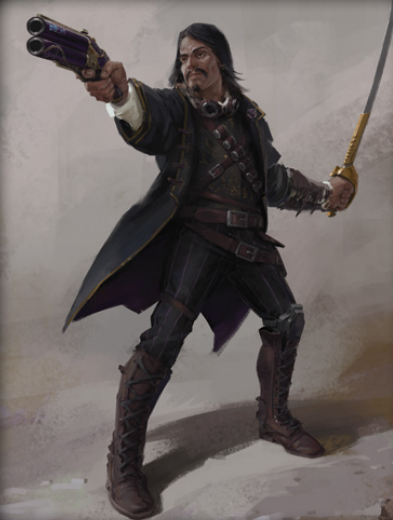 I tried to maintain the “lunacy” theme that the Pathfinder version in the spells I selected for the 5E version, but I will leave it to the good Doctor to tell me if I maintained the flavor of Pathfinder version. These mysteries are each designed to fit specific themes and, as such, it is unlikely that they could be easily reskinned. Ok, stop me if you think you’ve heard this one before, but…next week we return to my Iron Gods conversions.